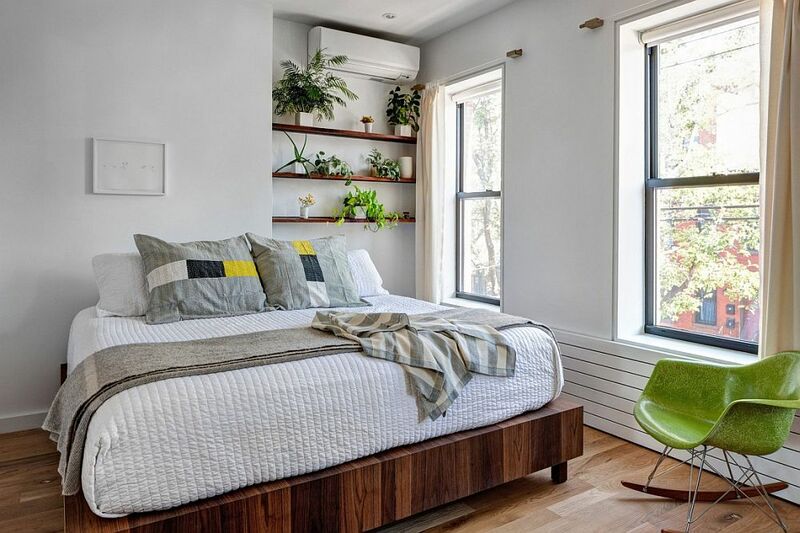 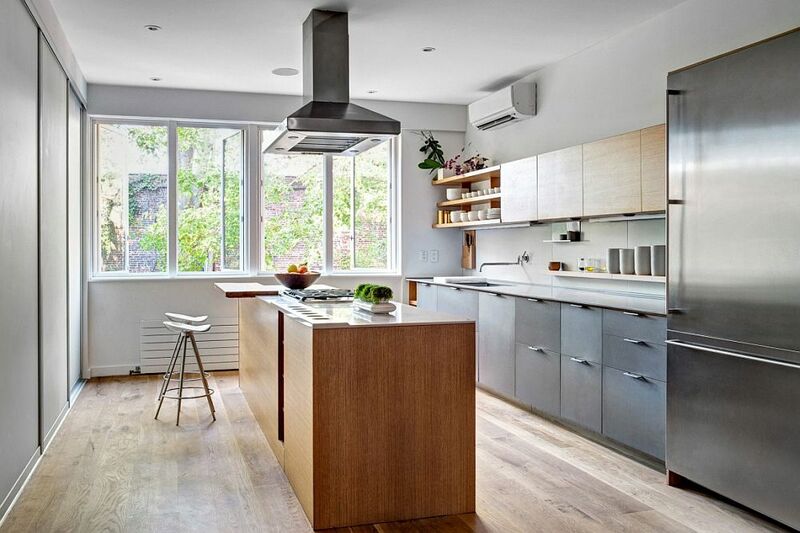 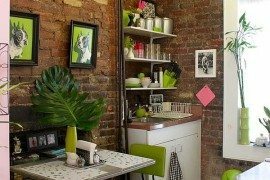 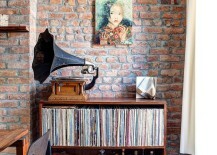 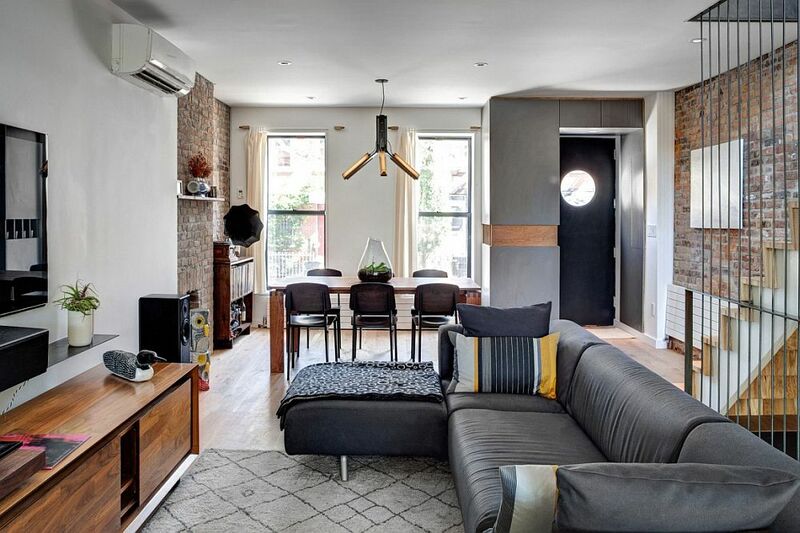 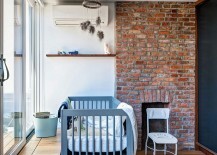 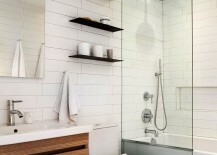 Any home that dates back to the 1890s and sits in the heart of Brooklyn is bound to be laced with delightful industrial elements that have gone on to define the style globally. 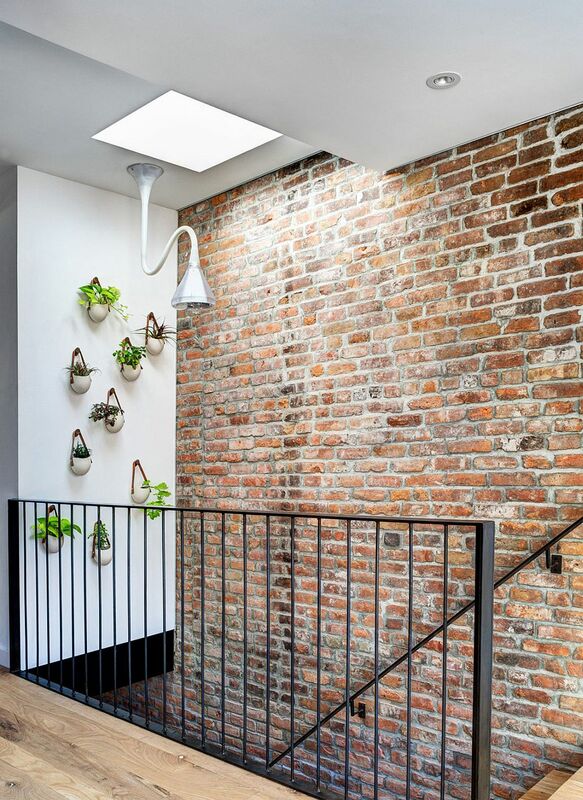 The gorgeous 123 House is no different with its lovely, exposed brick walls that showcase the rich heritage of this family residence while enhancing its contemporary makeover with textural beauty and timeless elegance! 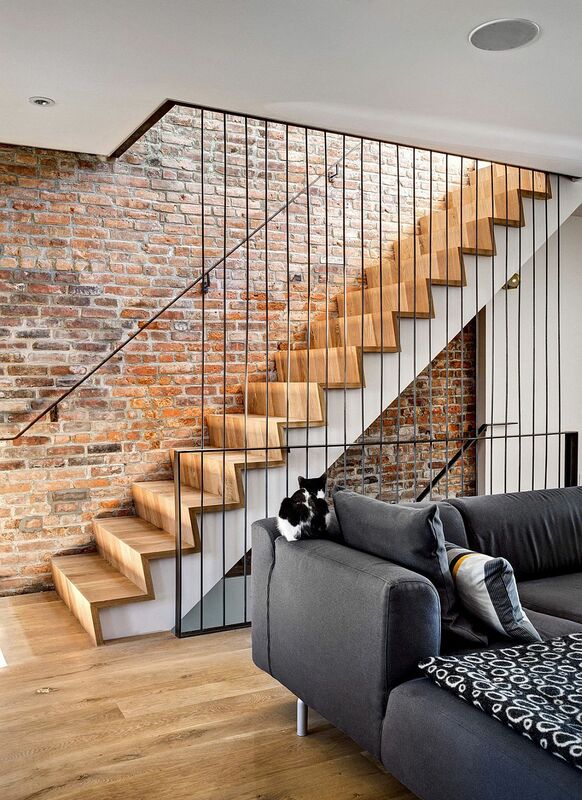 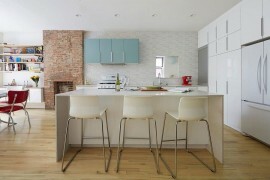 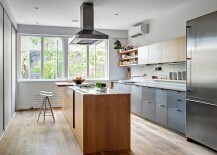 Renovated recently by Gradient Design Studio, the beautiful row house also acquired a two-story addition with a distinct contemporary appeal. 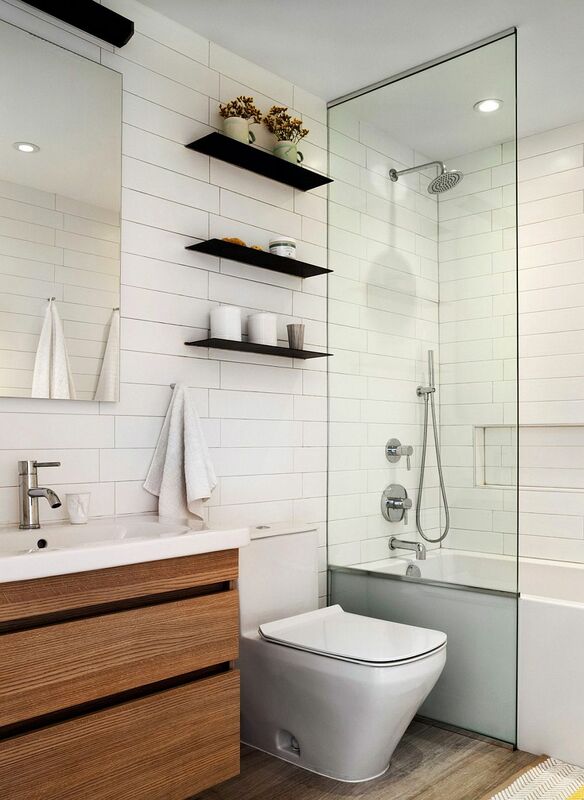 Seamlessly combining the contrasting styles stretching across the two eras, the revamped residence wows you at every turn. 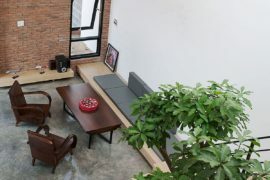 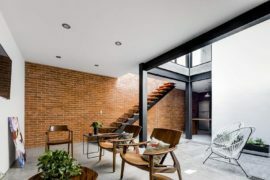 We absolutely adore interiors with brick walls, and it is these walls that bring personality and warmth to the 123 House. 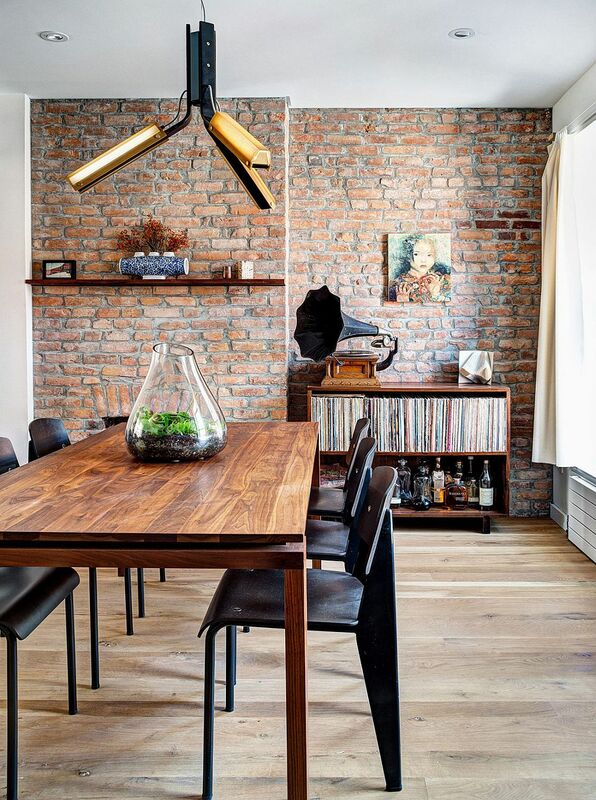 Working on a very tight budget, the architects used natural materials, reclaimed items and vintage decor to shape a snazzy townhouse that acts as a bridge between two different worlds. 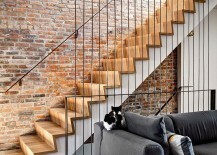 Sleek contemporary surfaces are elegantly interwoven with rough, exposed concrete and brick walls, creating an exciting interior. 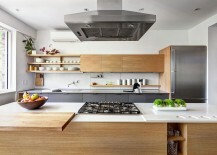 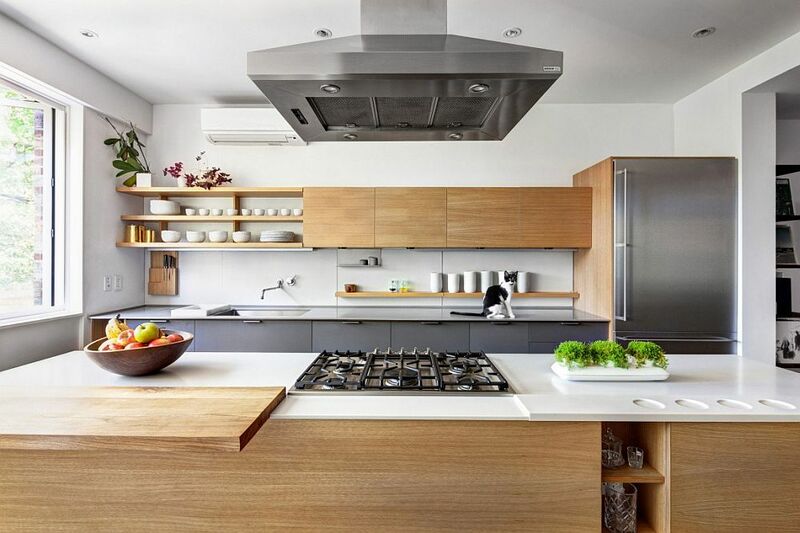 The modern kitchen with its smart island and sleek wooden shelves adds to the contemporary appeal, even as the entire home adopts a cozy, neutral color palette. 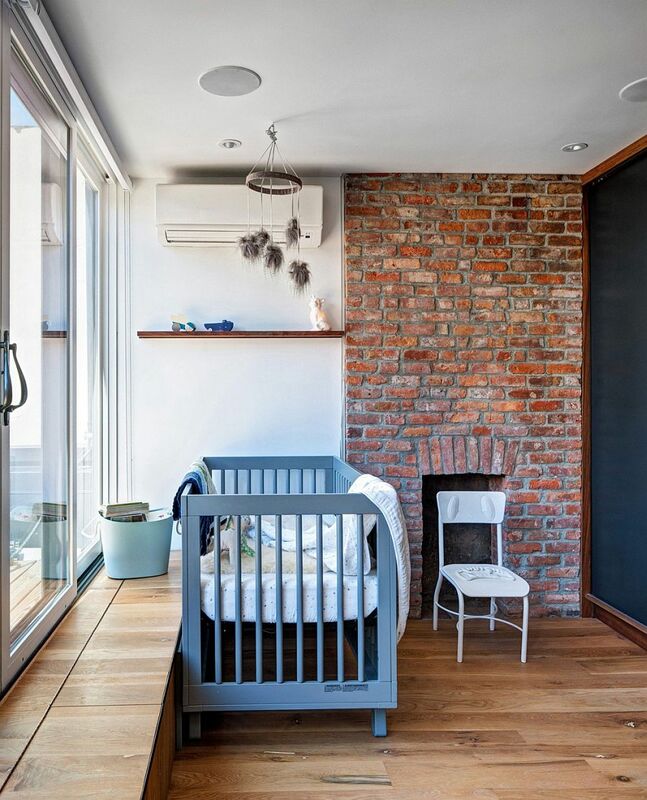 It is the lower level of the house that holds the living area with its plush gray decor, the stylish kitchen and the vintage-industrial dining space, while the top floor plays host to the bedrooms and the nursery. 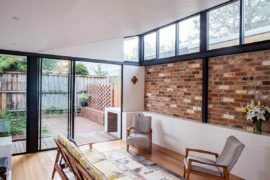 The clever use of skylights along with large glass windows brings in ample natural light, keeping the ambiance fresh and cheerful. 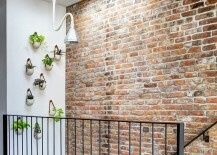 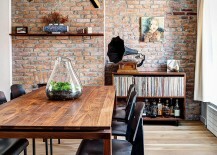 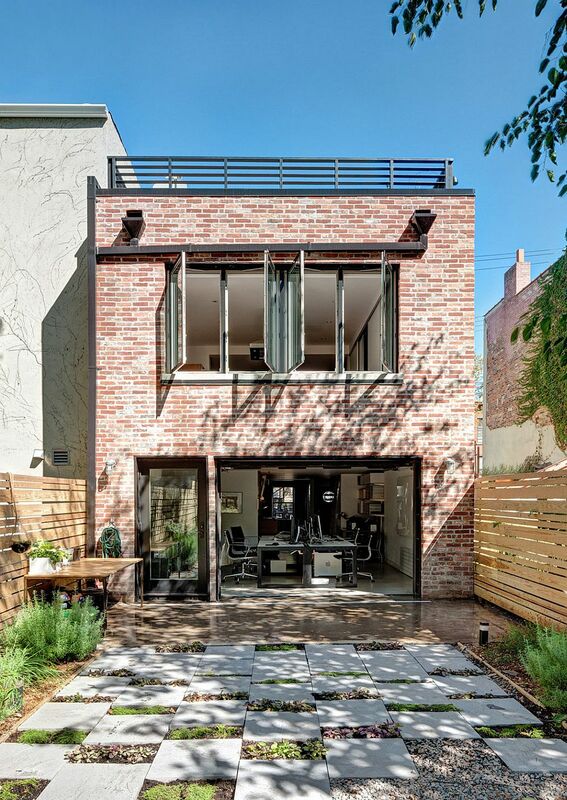 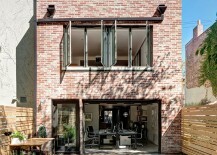 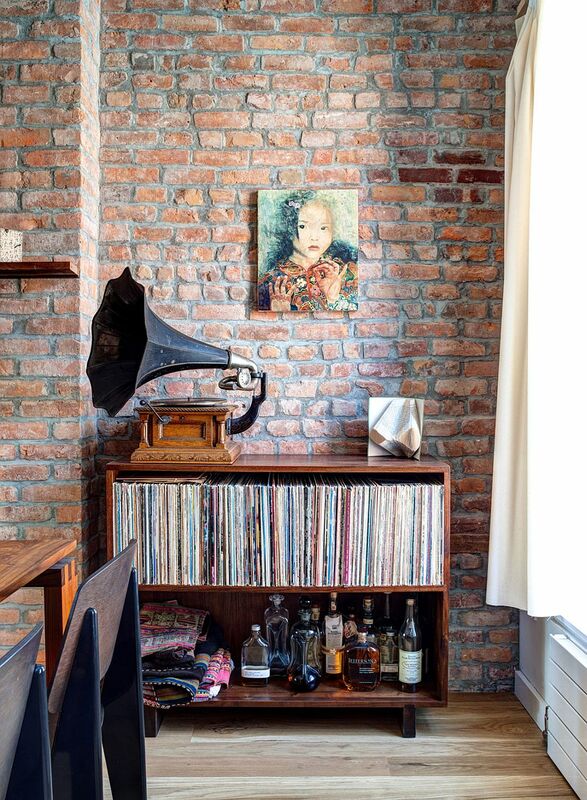 A small private yard and a home office / studio complete this cool Brooklyn residence.